Dehydrated vegetables, also known as reconstituted vegetables, are dried vegetables made by washing and drying fresh vegetables, and removing most of the water from the vegetables. The original color and nutrients of the vegetables remained basically unchanged. It is easy to store and transport, and can effectively regulate the season of vegetable production. Just immerse it in clean water to restore it, and preserve the original color, nutrition and flavor of the vegetables. High-quality dehydrated vegetables are color-selected before packaging. If the temperature and time are not mastered during the drying process, it is easy to scorch or discolor, which affects the quality and taste of dehydrated vegetables. It is recommended to use the intelligent color CCD dehydrated vegetable color sorting machine, which can effectively distinguish the impurities in the dehydrated vegetables from the defective color products, and remove the impurities one by one, leaving good products and effectively improving their quality. 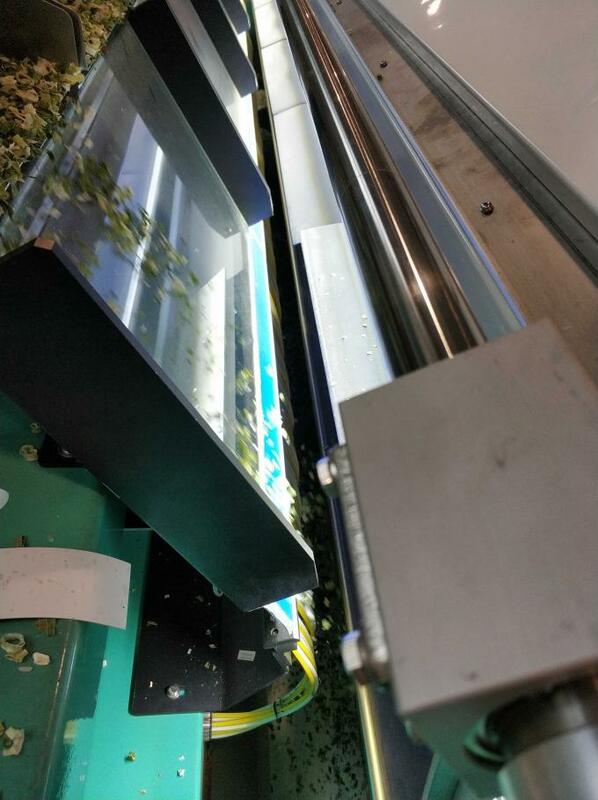 The dehydrated vegetable color sorting machine uses a 5400-pixel lens for CCD line array scanning, and each lens is placed in front of and behind the chassis to truly achieve 360-degree scanning, and can select good products according to different requirements, and the selection rate is as high as 99%. The equipment uses a new anti-rust chute, non-toxic and harmless, in line with international food safety standards, professional channels for dehydrated vegetables, no blocking, stable and even decline, the finished product is comparable to manual, directly packaged, and the efficiency is higher than manual. 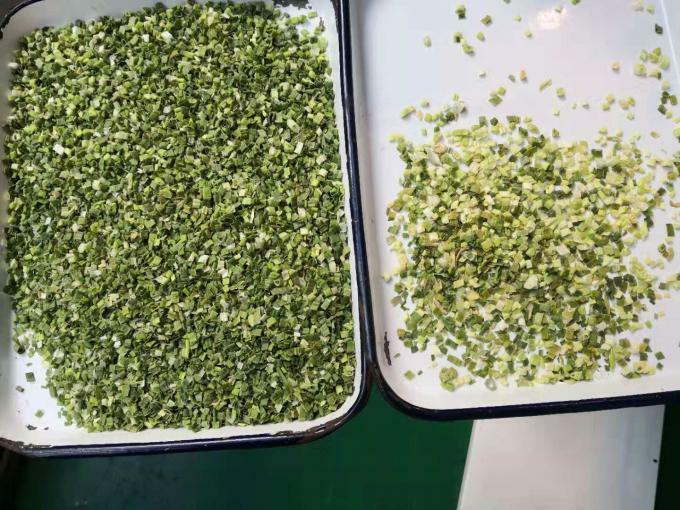 The high-quality dehydrated vegetables after color selection, after removing impurities, the value immediately doubled. Processed as a seasoning, its quality is better and more nutritious, and the smell is aromatic. 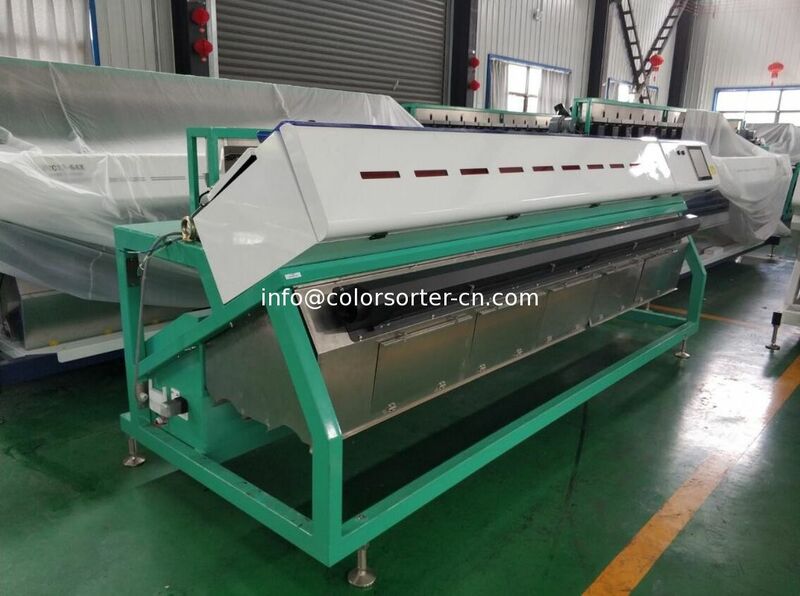 The dehydrated vegetable color sorting machine is widely used, and can be used for color selection of dehydrated green pepper, carrot, garlic, bean, cabbage,very light leaf scrap and the like. Our machine is special designed for sorting the material with very light weight.